You may face the need to measure the land in a various cases like when you are disputing with your neighbor about the demarcation line of you land plots, or for the sell and purchase purposes, for the fencing construction or building up the boundary wall. One of the standard measurement units used for the land plot measurements is the acre. If the land plot is of regular rectangular shape, it is easy to do the measurements recalling your knowledge of geometry studied at school. The opposite situation occurs when you have to do the measurements of the plot of the irregular geometrical shape. For this purpose, it would be better to use a free online tool indented to perform such calculations, e.g. this online acreage calculator. The given land area calculator provides the calculation, measurements and specification of the land area online. This application helps you in calculation of the land plots of the irregular shape. What you have to do is simply to enter the data in meters. The required information is the size of every side of the plot. The result will be presented in square meters, Ares, and acres. How to calculate and measure land area? First step is a proper and precise measurement In order to perform the calculation of the land plots areas you should look for sophisticated advanced tools. You can take wooden pegs or metal rods, and establish them in the corners of the plot. Then by measuring type you easily specify the width and length of the plot. As a rule, you can measure on side for the width and one side for the length for the rectangular or equilateral plots. Actually, the estimation of the land areas is based on the classical calculations performed by the application of well-known and commonly accepted geodesic formulas. There are several methods to do the measurements and calculation of the area. They are mechanical (calculated on the base of the plan), graphical (uses the project data) and analytical (supposes the application of the square formula and measured borders of the plot). The most reliable land surface calculating method is the analytical approach. The mistakes while using this method can happen due to the errors in the field measurement of the land plot borders. 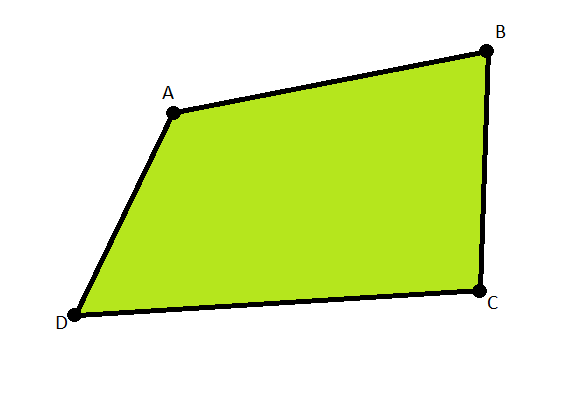 If the borders are curved and quantity of the angles exceeds 10, this approach seems to be a complicated method unless you prefer to go for the online software. The graphic way is considered to be simpler and it is the best choice when the plot borders are curved and there are some turns. The most commonly used and popular method is a mechanical one. Unfortunately, it is the least reliable giving some errors in the estimation. By this method, you can calculate the area of the land plot of different geometrical shape fast and easily. The serious disadvantages of the mechanical and graphical methods include the following: errors when measuring the plot, errors due to the deformation of the paper and error in the plans preparation. Beside all the mentioned, this online application can be also used as any surface area calculator.